Make Direct Energy your New Jersey electric supplier and trusted home services provider for electricity, plumbing, electrical, and HVAC services. Looking for more from your New Jersey natural gas and electric company? 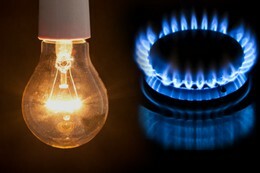 Beyond our competitive gas and electric rates, we also have great products to go with your energy service. View our NJ electricity plans and natural gas plans to see how you can save by switching from your New Jersey utility to Direct Energy! 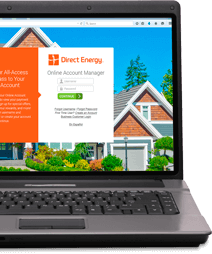 With Direct Energy's Online Account Manager, you can manage your New Jersey electricity and natural gas all in one place. View and pay your bills and check out special offers online. Looking for plumbers, electricians or HVAC specialists to go with your competitive New Jersey electric rates? Call Direct Energy Home Services in New Jersey for all your plumbing, electrical and heating and cooling needs year round! Switching from your New Jersey utility company to Direct Energy is easier than ever! You'll never lose power while switching from your utility company, or any other New Jersey electric supplier or natural gas company. You'll even continue to be billed by your current New Jersey utility company, like PSEG, just with our electric and natural gas rates! Learn more about your New Jersey energy choice! Embrace your energy freedom in the Garden State! With a Dual Fuel plan from Direct Energy, you'll enjoy seeing all your NJ electric and natural gas usage on one single bill while taking advantage of rates that will stay locked in place for your entire contract term. A plan from the Direct Energy Home Comfort Collection will safeguard you from unexpected repair costs. Historically, your electricity and natural gas were supplied and delivered exclusively by utility companies like PSEG, Rockland, and South Jersey Gas. These days, you can now select the energy provider of your choice, like Direct Energy. Choose Direct Energy and find the perfect New Jersey electricity and natural gas plan for you and your family. Let's Get Social, New Jersey! Find us on Facebook, Twitter, Instagram, Pinterest, YouTube, and LinkedIn for the latest industry news, timely customer service, relevant weather information, and energy efficiency tips. We also have special promotions and games on our page, too. We're always keeping it interesting at Direct Energy. Every year, we commit to support and recognize the people and organizations making a positive impact in our communities through our Community Volunteer of the Year Award. We've also entered into a partnership with Children's Miracle Network to support children's hospitals across our territories.